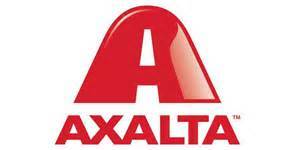 Axalta Coating Systems confirmed that its previously announced discussions regarding it being acquired by Nippon Paint have ended. Nippon Paint informed Axalta that its Board of Directors was unwilling to meet our expectations regarding the value of the company and assume the financial leverage necessary for a deal of this size. “I would like to thank our customers, investors, suppliers, and employees for their patience and support as we have considered these strategic options. We look forward to continuing the performance you have come to expect of our company,” concluded Mr. Shaver.